So we’ve been hearing a lot about active learning, and I’ve been reflecting on how I teach my classes. I’m tired of talking. I’m tired of the students sitting there looking at me. I’m tired of the blank, sleepy stares 1st and 2nd period. My classes are small, 6 and 8 kids each, and I really want to start using other parts of my classroom beside my round tables. 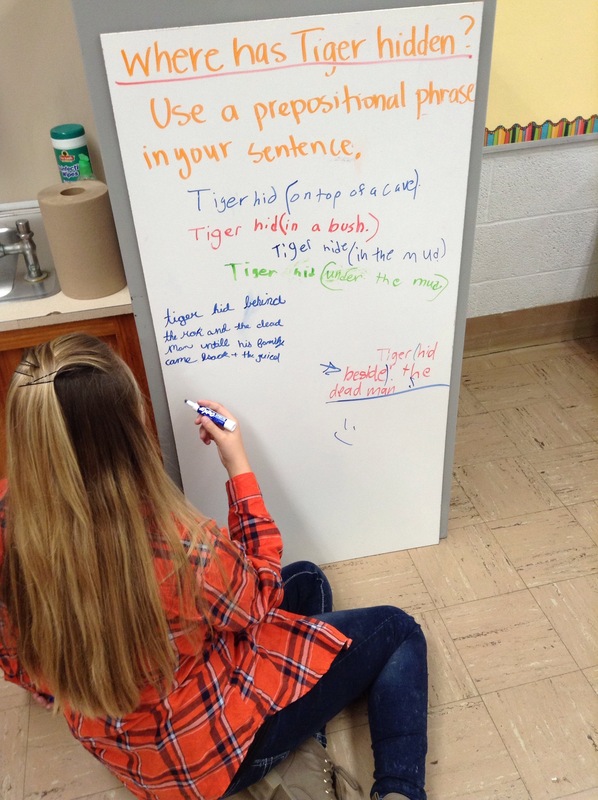 Today, instead of using the Smart board or worksheets, and instead of sitting at their seats, students had to practice writing prepositional phrases in sentences on my dry erase boards from the paneling department at Lowe’s. (One piece covers an old chalkboard, one is attached to the side of a filing cabinet with heavy duty Velcro, and one is a long skinny leftover piece from the original piece). 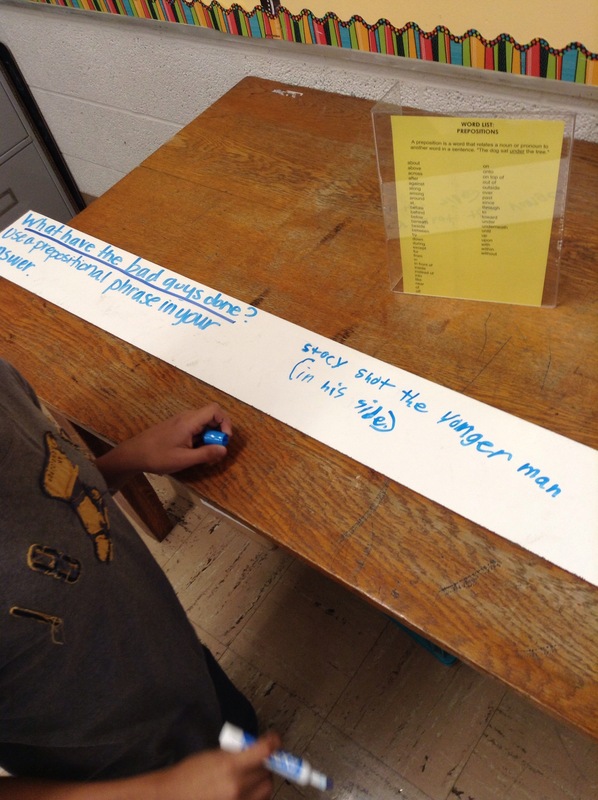 I left a question for them, along with a list of prepositions in an acrylic table top picture frame at each of three stations. Good stuff!! Kagan has some great strategies they utilize movement. Try googling Kagan structures. Gallery walks are things I do every so often. 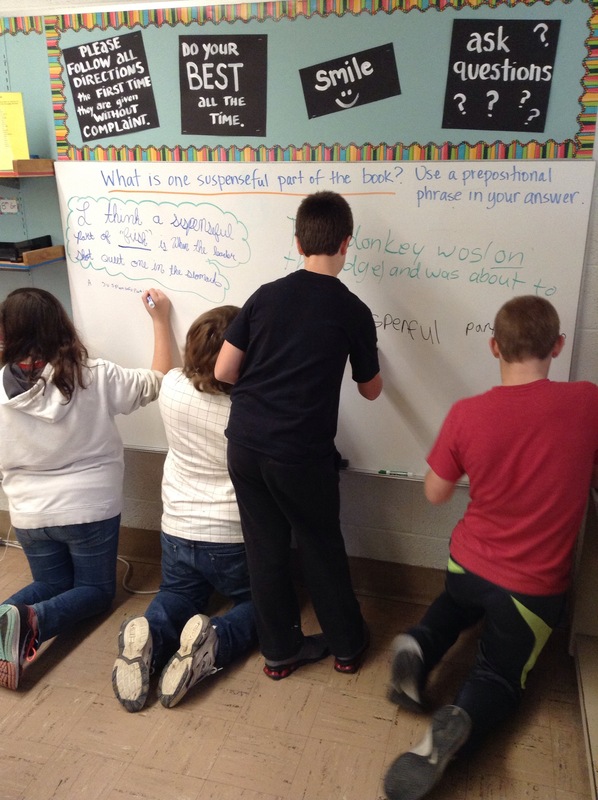 First, students add responses to questions posted around the room and then later do a walk around to give feedback to others.